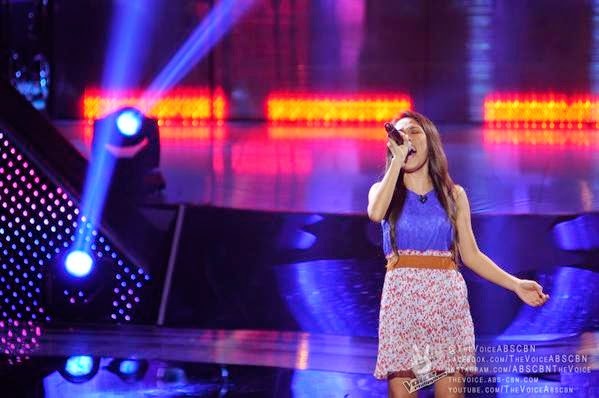 MANILA, Philippines - Mecerdita Quiachon of Bohol performed Beyoncé Knowles hit "Listen" during the continuation of Blind Auditions of the country's top-rating and Twitter-trending vocal competition 'The Voice of the Philippines Season 2 aired on Sunday, November 16, 2014. The 19-year old artist from Bohol impressed Coach Apl.de.ap who was the lone judge to turn red chair. Meanwhile, her sister Liezel, 18, was not able to turn at least one red chair on her rendition of 'I Don't Want To Miss A Thing."